We’re in the Process of Understanding our Consequential Relationship to Morality. By “consequential relationship”, we mean that: Morality in itself – our relationship to it, have contributed to creating More Consequence in the Minds and Lives of Human Beings than actually serving as a Directive Principle for Honourable ways of Human Interaction, Behaviour and Living. Survival Management in the context of one’s relationship to MONEY, where one developed a Money-Consciousness that will accordingly determine what’s Good/Right and what’s Bad/Wrong when it comes to Money/Survival. Survival Management in the context of one’s relationship to one’s own Mind/Personality Systems, where one develop a relationship to Morality in terms ‘what’s GOOD for ME’ and/or ‘what’s BAD for ME’ – in the example that we had walked with Alcohol, initially ‘BAD for me’ as has been taught, but evolved into ‘GOOD for me’ as the Individual’s Personalities/Social Networks evolved. Thus, the Dimensions in the relationship to Morality that we essentially had a look at was MONEY and ENERGY/Mind and how these two factors, within the MIND / the Individuals interest/greed – essentially their ‘Survival’, can distort, change, alter Morality to accordingly ‘suit Self’. Within this, Morality in itself has this ‘High Standard’ within the Human Civilization – obviously, dependent on the Culture one is acculturated into Mentally and Physically, will depend on the Morals adopted. However, it seems to be that Morality in itself, with being regarded as something “Good” / “Positive” – is manifesting the opposite in most respects as the Bad/Negative, with having a look at the research done within humanity regarding how young adults are turning out; even though they were taught ‘decent standards of morals / moral living’. Then, parents blame themselves, blame the Education system, blame the Money system, blame the kids – as though, Morality in itself / what the parents taught the children regarding ‘a way of life/living’, like that knowledge and information in their Minds is somehow magically going to make the Individual a ‘Good person / Decent citizen’. In that, it’s believed that: “Living the Morals you are Taught – makes you a Good person / Decent citizen / Honourable part of Society”, when in fact – the truth is that: “Living the Morals you are Taught, means that you’re good at Following/sticking to the rules/regulations of Morals from the Mind into Physical Living”. Thus, it’s not knowledge and information in itself that Defines the Individual, it’s WHO THEY ARE in/as their beingness/personalities of the Mind that will define their relationship to how they ‘process’ knowledge and information into/as themselves; which will accordingly determine how they incorporate Morals into their minds/lives and/or alter/misconstrue it and/or not reference at all. So, it’s kind of Strange this whole scenario in the sense that: Parents educate/teach the Children Morals – right, like, having Morals be this guideline/reference for the Child; but within this what is actually being said/believed is that: the Parents Words must become the MIND of the Child - as though the Child is not an Individual that can “think/perceive/interpret for themselves” and it is just naturally, automatically believed that: “If the Child is taught proper Morals, they will become a proper human being” – in this, what is Not Referenced, is the “Individuality” of the Child, who they are on a beingness level and through the Mind and Body interpret/perceive/calculate/experience themselves in themselves and in this world/reality. I mean, if this were in fact so – we could just speak the words “Equality and Oneness” to human beings, and WHOOPS in a quantum moment is uploaded into their Minds the principles of Life/Living and so we’re a Humanity Saved…but, it doesn’t work like that, and so it doesn’t work with Morals. Because, it’s become just WORDS, just knowledge and information – it hasn’t become LIVING PRINCIPLES that is a Presence of who/how/what the Individual is as a Living Example, some just follow the SCRIPT very Good from their Minds into the Physical, others Don’t and then are said to be BAD. It’s like, an Imprint into the Mind: “Human, you follow these Morals – you Good. You don’t – You Bad.” Thus, Morals have become just something to FOLLOW, that the Human WILL OVERRIDE based on who they are on a Beingness level, regarding what they Live/Express in relationships to others/their environment. Thus, what this all is showing is that – Morals/teaching of Morals to “just Follow like a Religion”, is not enough to Guide Human’s Living/Behaviour within who they are; now the question then is: What Is? And this we’ll be looking at in the next post of Survival Management vs. Life Regulation, in understanding the difference between “knowledge and information” and then “what is practically lived”. So, essentially – one can look at Morality as this “Mind Insert/Chip” of knowledge and information; that accordingly outlined behaviour/etiquette and the general do’s / don’ts within the Guidelines of what’s Good/Right and Bad/Wrong according to the Culture. 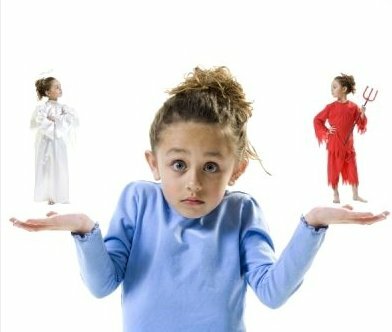 So, what then – determines why Children, all Children, who are educated within/as their Family Morals – not Follow/Live by the rules/regulations of Morality, both within the Family context and the Societal context; but more often than not – sneakily / deceptively, deliberately, find ways/means/methods to “Free themselves” from Morality as is disciplined into their Minds and their Lives? It’s like, what Morality does is make things “Black and White”; when an individual’s personalized Mind/Consciousness and how they evolve in their relationship to their mind and so to others/their world is Multidimensional. So, trying to impose an Absolute System of “either this / that” onto the Multidimensional existence of the Mind/Consciousness – and you get what has become of Young Adults/children today; that is obviously in their behaviour/living showing that within/during Childhood / what it is / how it is that they’re being educated into/as life/living is “not working” and/or there’s something missing…And this “something missing” as well as why it is that it’s not working, is what we will discuss in Posts to come. For example, there isn’t a Morality-Guideline/Education book that children are given in terms of, when looking at Alcohol again – they’re educated as ‘Alcohol is BAD’ / ‘too much Alcohol is BAD’; and then okay – but, now what about if they’ve established a long-term relationship with a group of friends, and they want you to Drink and Drink a lot – what then? Some children ask their parents what to do, other children / young adults suppress and rather deny friends and stick to their parents Morals, other children / young adults join in – there’s a Freedom to it, more so than the Fear/Reprimand that was educated into them when Morals were taught, so again here we go from the Negative to the Positive, strict Moral Codes vs. Self Freedom / Strict Management vs. Self Management. So, as you can see – there isn’t with when Morals are Taught, ALL SCENARIOS and situations taken into consideration when a Child/Young Adult faces a Moral Dilemma – it becomes, in a way, a battle between Morality vs. Self; because Morality is/has become more of just a reference / voice in their head of their parents speaking; and then they reference that in context to what is in front of them in reality, with themselves in the Middle: and more often than not – their own Selves/ their own voices become thunderous over the ‘voice of the parents / echoes of Morals in their Minds’ and so BAD becomes GOOD, for them, in the particular relationships/scenario they’re confronted with. We’ll in the Next Post continue with the difference between MORALITY as Survival Management in relationship to the Mind/Money, and how to approach Morality rather as LIFE-Regulation within the principle of/as equality and oneness as What’s Best for All.